The Social Security Administration uses complex regulations to determine if you are eligible for disability insurance benefits (SSDI) or supplemental security income benefits (SSI). These cash benefits are paid to people not yet retired who have physical or mental health limitations which prevent any work in the national economy when disability is expected to last for 12 months or more. The Social Security regulations take into consideration such additional factors as your age, education, past work, and potential for obtaining a job. Disability means that you have a medical condition which prevents you from performing any full-time competitive employment in the economy (not just jobs you have held in the past). SSDI benefits requires proof of disability, as defined above, as well as “coverage” in the SSDI system. “Coverage” is obtained by paying taxes into the system over the course of your working career. Successful SSDI applicants receive Medicare benefits. SSI benefits are available to those who have not paid enough into the system to have “coverage” under the SSDI program. SSI benefits require proof of disability, as defined above, as well as proof of having few financial assets. Successful SSI applicants receive Medicaid benefits. Go to your Social Security Administration’s (SSA) local office and apply for benefits immediately if you believe you are disabled and will be so for 12 continuous months. After your medical records are reviewed, the local SSA office will send you a letter giving you a decision. An attorney cannot charge a fee for representing a Social Security claimant unless approved by the SSA or an ALJ. Fees are generally limited to 25% of past due benefits by SSA regulations. 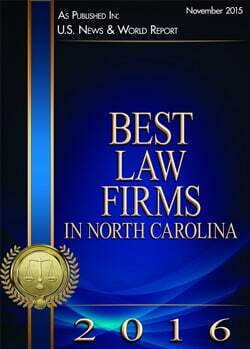 Most attorneys also charge actual office expenses (such as doctor charges for medical records) even if the case is lost. The SSA withholds 25% of past due benefits for the attorney in disability and SSI cases. After winning benefits, the attorney is not entitled to further fees for future benefits. How long will a decision take in my social security disability case? The first two levels of review take approximately five months each, during which you will receive two written decisions. If your case requires a hearing before an Administrative Law Judge, you may have to wait 18-20 additional months for a hearing. Individuals with serious mental health conditions can win disability claims without suffering from any physical medical conditions. Can my children receive benefits on my claim? Yes. Any dependent child under the date of your disability should receive benefits through the date of their 18th birthday. There is a total family maximum that can be paid in any one claim. Is there a cap on how much my medical providers can charge for medical records? Yes. Under N.C. Gen. Stat. § 90-411: “A health care provider may charge a reasonable fee to cover the cost incurred in searching, handling, copying and mailing medical records to the patient or the patient’s designated representative. The maximum fee for each request shall be seventy-five cents (.75) per page for the first 25 pages, fifty cents (.50) per page for pages 26 through 100, and twenty-five cents (.25) for each page in excess of 100 pages, provided that the health care provider may impose a minimum fee of up to ten dollars ($10.00), inclusive of copying costs. Will there be any other witnesses at the hearing? In addition to yourself, and any close friends and /or family members you may wish to testify, the Administrative Law Judge may have a medical expert and/or vocational expert testify at your hearing. What if I lose at the administrative law judge hearing? Unfavorable decisions from the Administrative Law Judge can be appealed to the Appeals Council in Falls Church, Virginia. Unfortunately, these appeals take years, and often lead to an affirmation of the Administrative Law Judge’s decision. A further appeal can be taken from the Appeals Council to U.S. District Court, where your case can be heard by a United States District Court Judge or U.S. Magistrate Judge. In the event of an additional loss, your case can then be appealed to the United States Fourth Circuit Court of Appeals in Richmond, or even the United States Supreme Court. Yes! Most people who apply are denied benefits at the first two stages of review. Unfortunately, many people simply give up after an initial denial. The next stage of appeal is called “Reconsideration.” You must request Reconsideration within 60 days after initial denial. You should hire an experienced Social Security attorney after initial denial. Most people who apply for Reconsideration are also denied again.